FulmerIT has VCUs (Video Conferencing Units) available for check out. These VCU is good for presentations and defenses. There are two units available, one large unit and one small unit.To check out a VCU contact FulmerIT at least a week in advance. On the day of the presentation FulmerIT will come assist with setup of the VCU in the desired conference room. If an error is encountered refer to the quick start guide, if the solution is not in the guide feel free to contact FulmerIT. 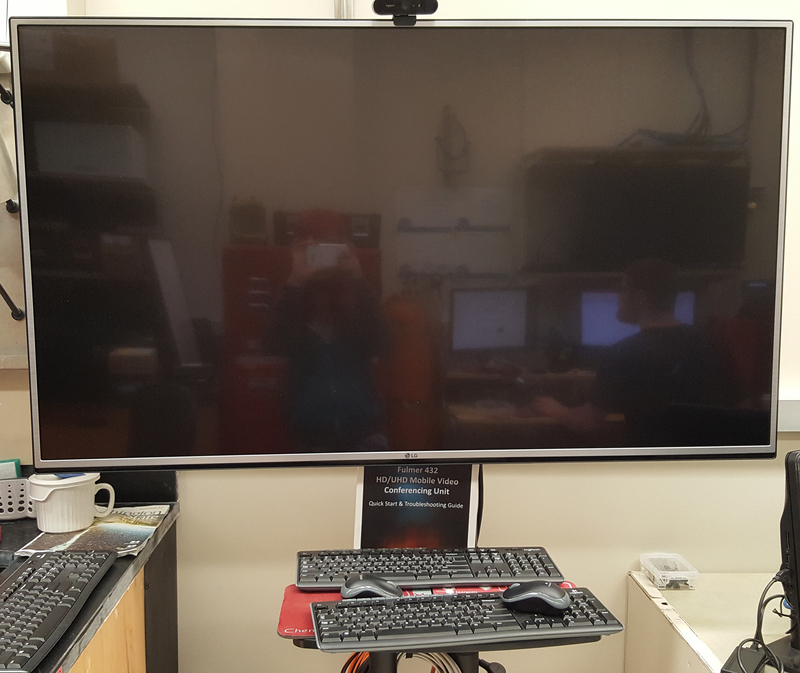 The larger VCU consists of a Dell micro computer and Logitech Brio 4K Ultra web cam attached to a 60 inch 4K television. The unit is attached to a stand that supplies a mouse and keyboard. The quick start guide can be found attached to the unit. The smaller unit is a Toshiba all-in-one unit. 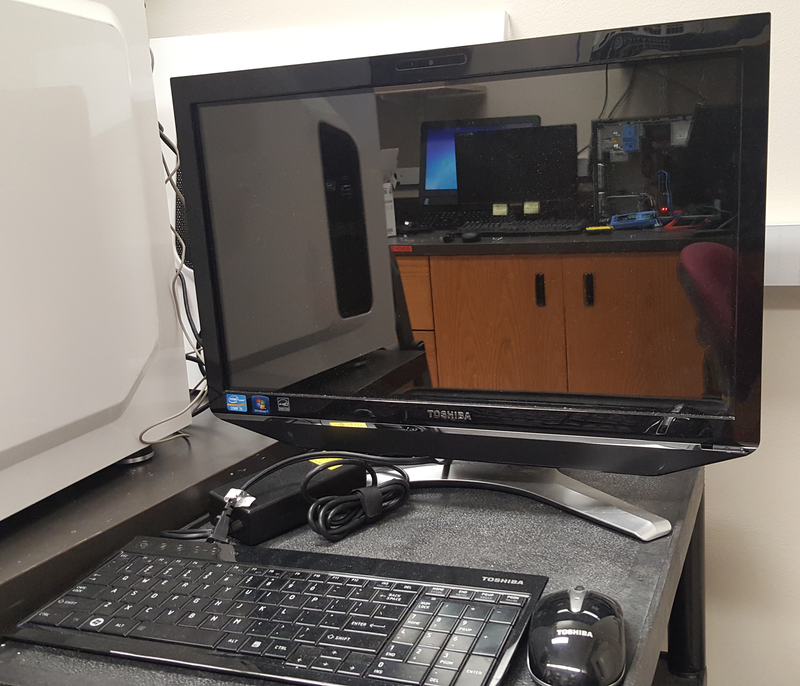 The unit has a built in web cam and comes with a mouse and keyboard.